SPRK+ is the latest iteration of Sphero’s educational robots. Powered by the Lightning Lab app, this robot is optimised for programming and activities. 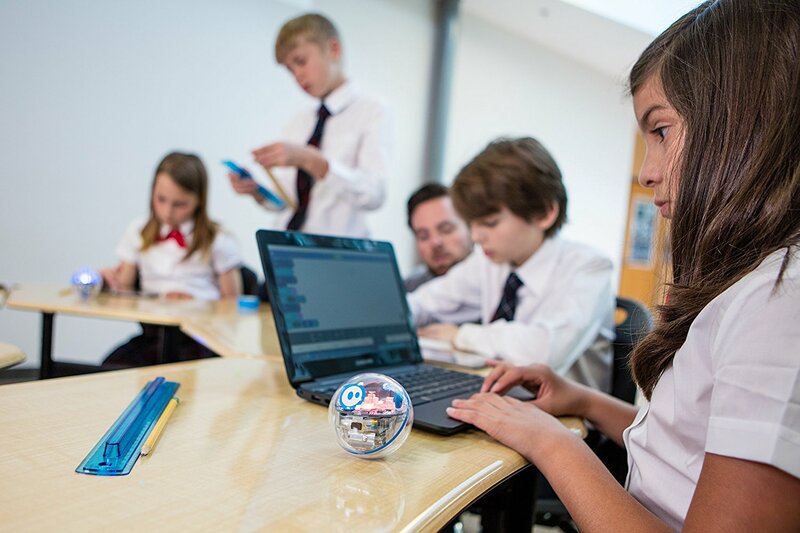 The Sphero SPRK+ Bluetooth Smartphone Robotic Ball is designed to inspire curiosity, creativity, and invention through connected play and coding, SPRK+ is far more than just a robot. Powered by the Lightning Lab app, you can easily learn programming, complete hands-on activities, and share your creations with the community. The device enables you to collaborate with other users around the globe to innovate the world of education and empower anyone to program. Equipped with Bluetooth SMART and a strong scratch-resistant UV coating, SPRK+ takes hands-on learning to another level. The Sphero itself is robust and “feels” well assembled. It is furnished with an accelerometer and gyroscope, LED lights, programmable sensors, and a polycarbonate shell. The shell on both the SPRK+ and its charging base are clear, so you can see inside the device. The Lightning Lab lessons are instructive and stimulating, even for an adult. Programming it is quite easy. Just drag and drop your commands in the order you want them performed, and then edit for time, colour, etc. You can alter the light patterns, the brightness, directions, and more. You can even make it jump! The device is a great machine for making coding and robots fun! The app continues to increase functionality and add features that make it a better tool for teachers as well, like the ability to toggle between block code and the text-based language. Once you’ve completed certain. Exercises, you can unlock the ability to write in the text language as well. Overall, a great device for teaching the basics of coding. Available form Amazon for £104.95.